–Gianfranco Sarfatti, an Italian Jew, writing to his parents about why he joined a partisan group. Italian Jews like Sarfatti who joined resistance groups came from a wide spectrum of political, economic, religious, and social backgrounds. Eugenio Calo, the owner of a machine shop in Arezzo, joined a partisan group to avenge his wife and children, who were deported to Germany. Eugenio Colorni, a professor of philosophy in Milan, became the leader of a Roman resistance group. The Italian resistance groups that Jews were a part of were for the most part not founded on Jewish identity, but instead were integrated groups that readily accepted Jews to fight alongside them against a common enemy. Italian Jewish partisans were generally not deeply religious, with the exception of a small minority. However, there is evidence of religious life and observance of tradition: Augusto Segre, who was raised in a strict Jewish family, mentioned in his memoir of celebrating Yom Kippur during his time as a partisan. As in other countries, the number of Jewish women who joined the Italian resistance groups was limited due to sexism. Conversely, they were viewed as less of a threat than their male counterparts, and thus could move around easier to gather crucial intelligence. Marisa Diena, who became the vice-commander of her unit, was a valuable asset for her group because her disarming appearance allowed her to ride through the countryside on her bicycle without arousing suspicion, gathering vital information from local informers along the way. The emergence of Italian Jewish resistance was unique due to the facts surrounding the existence of the Fascist regime in Italy, whose leaders remained close allies of Hitler even after they were deposed and Italy surrendered to the Allies. On the fateful day of September 8, 1943, Italy was divided in half by the Armistice of Cassibile, which delegated the North to the German-backed regime and the South to the Allies. Though this agreement signified Italy's surrender and effectively cut its ties with the Axis, the end of fascism was not synonymous with the end of the war for Italy. A few months before in July, Mussolini had been arrested. However, the Germans staged a cunning raid to free the erstwhile dictator, and he became the figurehead leader of a fascist puppet regime in the north until his capture and execution by Italian partisans. Following the September 8 armistice, Germany immediately annulled the contract it had created with Italy's Fascist government not to deport Italian Jews (who were located in Germany territory) to German-controlled land in the East. This malicious turn of events led to a surge in Jewish resistance, lasting until the end of the war. 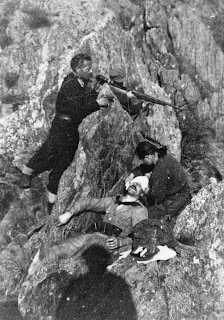 The rise of anti-Fascist political resistance was an important precursor for the subsequent rise of armed resistance in Italy. 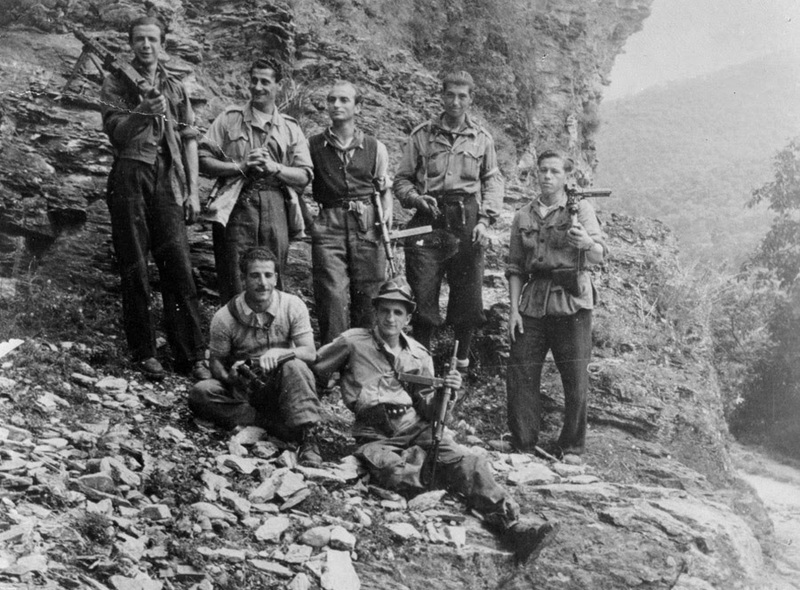 The Giustizia e Liberta - a significant non-communist partisan group in Italy - was highly favored by the Allies, who provided it with material support. Due to its strong affiliation to well-respected Jewish resistance fighters, it was highly appealing to Jews who were looking to join partisan groups in Italy. An important distinction for Italian Jews was their deep sense of Italian identity that was reflective of their wide assimilation into their Italian communities at large. Instead of exclusively identifying themselves as Jews, they instead formed alliances along political lines, notably supporters of fascism versus those against this agenda. 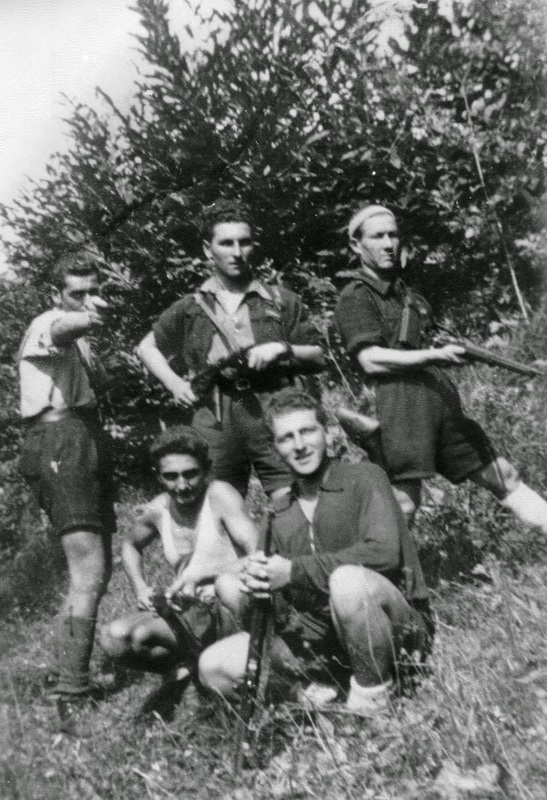 Fighting in a resistance group allowed them to display their loyalty to their country as well as simultaneously advocating for their religious rights as a Jew. Disguised as German security agents, a small group of Jewish partisans stormed the office of the Nazi-appointed Jewish Council in Brussels. Holding the officials at gunpoint, this allowed two more of their comrades to sneak into the head office and set fire to the records of Belgian Jews that were used for deportation. This act of sabotage was constructed by Jacob Gutfreund, a Polish-Jewish refugee and two other partisan leaders who devised this elaborate plan to save the lives of fellow Jews from being deported to concentration camps. Jacob led one of the three groups of Jewish partisans who were based in Brussels. His partisan group was responsible for armed attacks against Nazis and their collaborators including demolishing enemy railroads, weapon manufacturing sites and energy plants. On May 10, 1940, Belgium was occupied by the Germans. Six months later, the Nazis took over the Jewish Community Council. In response, the Committee for the Defense of Jews (CDJ) was created in Brussels to protect the rights of the Belgian Jewish population and assist with partisan groups likes Jacob's, to help them destroying German targets. Another important task for the CDJ was creating a network of trustworthy contracts that would provide a safe haven for hiding Jewish children. Paul Halter, another member of a Belgian Jewish partisan group, acquired last-minute news of a raid on a church that held nineteen Jewish children who were in hiding. With the raid imminent, Halter and another man dressed up as members of the Gestapo, and came to “collect the children” at gunpoint from the nuns. To pacify the terrified children, the two men spoke in Hebrew to them, letting them know not all was as it seems. When the Nazis arrived later, they were astonished to hear that members of the Gestapo had already made the pickup – realizing they had been duped, they left empty-handed. Beginning in September 1943, Belgian Jews were deported to concentration camps. Although the details of the deportations were always shrouded in secrecy, a Jewish partisan group gained news that on April 19, 1943, there would be a transport called Convoy 20, leaving for Auschwitz. The local partisans enlisted the help of fellow partisans Georges Livchitz and his brother Alexander Livchitz, who had gained experience in sabotage from their membership as national Belgian partisans. The brothers made their way to the Tirlemont region located in Northeast Belgium and waited for the train to approach. As the train with the captives neared, Georges flagged it down with a red lantern and the partisans rushed onto the train and freed the passengers who escaped into the woods. The attack on Convoy 20 is the only documented attack of partisans freeing prisoners. Georges and Alexander were later executed in the Belgian camp Breendonk. Jacob was deported to Auschwitz, where he survived for two years until he was liberated. He immigrated in 1957 to Israel, where he became a leader of the Organization of Partisans, Ghetto Rebels in Israel and Underground Fighters. 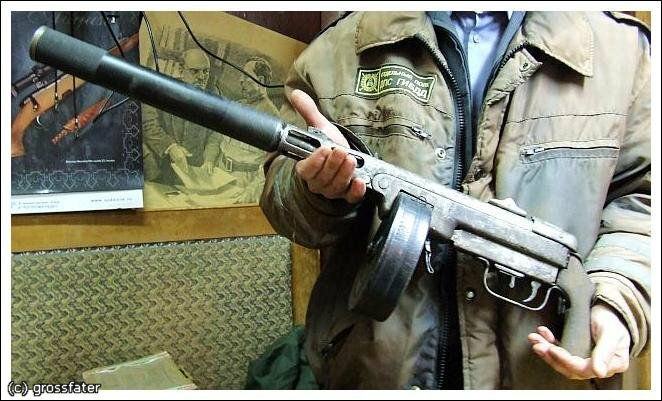 Learn more about Jewish partisan resistance in Belgium here.